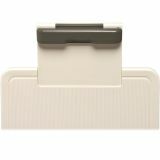 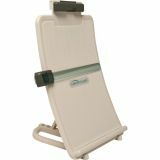 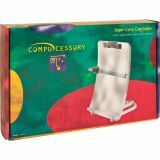 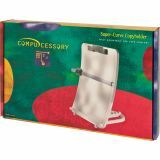 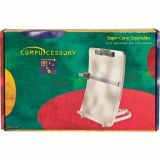 Compucessory Adjustable Super-Curve Copyholder - Copyholder features a curved design that reduces glare and maintains same viewing distance from top to bottom of sheet. 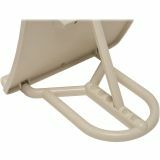 Angle adjustment allows different reading angles. 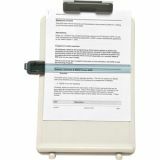 Adjustable copy clip and line guide hold documents in place. 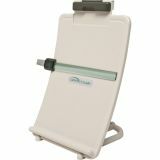 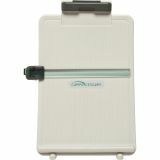 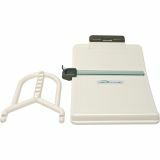 Copyholder accommodates sheets up to 8-3/4 wide x 14-1/2" high. 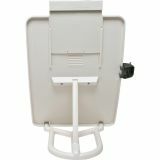 Freestanding design allows easy adjustment of focal distance. Copyholder is lightweight for easy portability and folds flat for storage."